Alright, it’s been an atrocious summer for book reviewing, and not that great for book reading either. Life seemed to have other plans for me. But since my last actual review, I have moved downtown into an apartment with my lovely man, Jonathan, have graduated from PA school, and have passed my boards to become certified! So please excuse the absence, once again. And now on to a book review! Well, to be honest, I completely thought this book was going to be about something it wasn’t. And so that led me to be disappointed, but maybe for the wrong reasons. 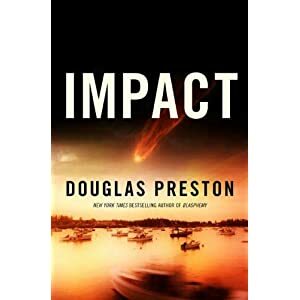 Impact by Douglas Preston is a thriller that again follows Wyman Ford, previously of Preston’s 2008 Blasphemy. Ford is former CIA, and is needed by the government to discover the origins of some very unusual gemstones in Cambodia (read: radioactive/deadly). Meanwhile Abbey Straw is working in a coastal Maine diner, passing time and frustrating her father. She dropped out of the ivy leagues, and now dabbles in amateur astronomy when not waiting tables. One night Abbey and her friend witness a falling meteor and capture the image on Abbey’s telescope. They decided to undertake a search for the crater on the local islands. In the third main plot line, Mark Corso, a scientist studying Mars, receives a mysterious hard drive from his dead mentor who he has now replaced at the research facility. All three lives will intersect over this meteor and the meteor’s implications, and their actions will change the fate of the world (cue dramatic music). Ok, so typical Preston here, prime thriller material. I thought this was going to be more about meteors and destruction and all. But it took a bit of a sci-fi twist which is all well and good but not as entertaining to me; I apparently crave natural disaster destruction. Corso, Abbey, and Ford are all entertaining characters, and there are a few minor characters that were particularly good, especially Ford’s assistant in Cambodia who can’t quite get his curse words correct. That being said, is the whole premise a little ridiculous? Wholeheartedly yes, which was in many ways frustrating. And strangely, I felt this book dragged on, despite it tying up plot lines a little too neatly and conveniently. And there is a whole section on a boat that is waaaaaay too long. But, Preston fans and sci-fi/thriller fans may want to give this one a go. There were exciting moments, and if you can suspend your disbelief a little, a decent basic storyline. 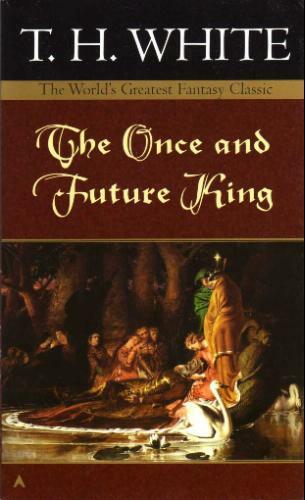 This entry was posted in Book Reviews, General Fiction, Science Fiction/Fantasy and tagged Blasphemy, books, Douglas Preston, Fiction, Impact, reviews, Science Fiction/Fantasy. Bookmark the permalink.